LPU e-Connect, an exceptional user friendly online platform of Lovely Professional University, offers ANY TIME ANY WHERE strong and secure online connection that links its students with the university. Based on enterprising web portal technology, it truly automates various administrative and academic processes of Distance Education and minimizes the shortcomings of physical distances by providing 24X7 accessibility through its various useful features. LPU e-connect is a boon for students as they can learn as per their convenience along with their other commitments. Students enrolled under LPU Distance Education are allotted a personalized User ID and Password through which they may access various interactive and dynamic features of LPU e-Connect which serves the motto "Your Education, Your Way". LPU e-Connect is also accessible through various Mobile Applications. Serves as a personalized account of the student containing his/ her personal and registration details, facilitating him/ her in Online Fee Payment, providing ID Card, Fee Receipts etc. Provides information through Announcements, Personalized Messages, Running Reminders and Flashing Messages. Provides information related to the status of student’s current, previously registered as well as to be registered courses. Provides pool of different academic resources like Self Learning Material of various courses, Programme Guides, Assignments, Previous Year Question Papers etc. in a very interactive way. Provides Date Sheet, Admit Card, Student Grade Card, Result, Question Paper Pattern, and forms like re-appear, re-evaluation etc. Facilitates the students to Register Online for Personal Contact Programme, providing PCP Guidelines, Schedule etc. Facilitates the users to post their queries, suggestions etc. Facilitates students to give feedback to the university on various parameters from time to time. Provides complete help manual for users to access various functions and modules of LPU e-Connect effectively. Digital Learning World Education Summit (WES) is the world’s premier platform on education and learning. 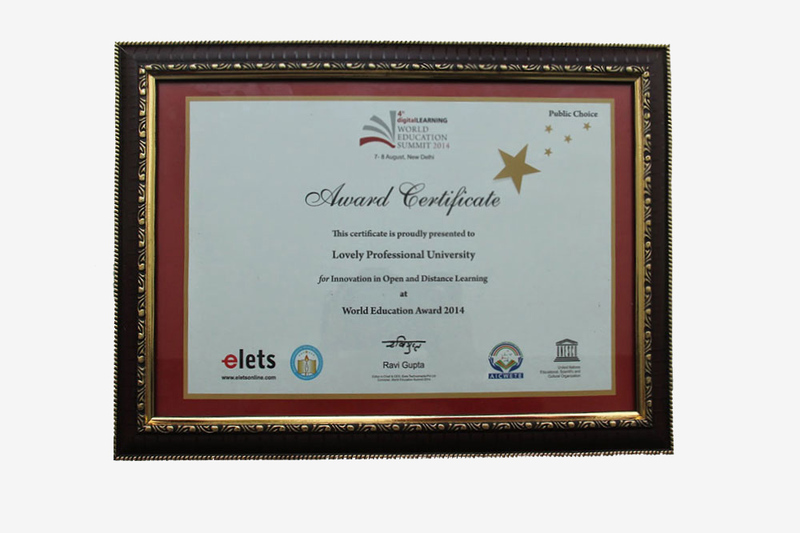 LPU e-Connect bagged World Education Summit 2014 Award in the category ‘Higher Education - Innovation in Open and Distance Learning’. 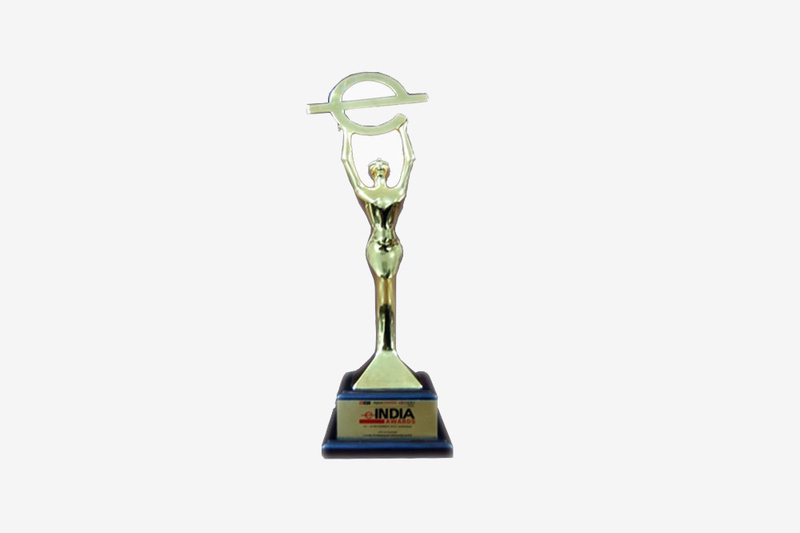 e-INDIA Governance Summit presents the country’s most prestigious awards in the governance sector to felicitate and recognize the achievers, innovators and suppliers who significantly contributed towards the growth and development of e-Governance. LPU e-Connect is the simplest way to get all the relevant information at single platform. Thanks to LPU DE for providing such a great platform to us. LPU e-Connect is very user-friendly. It provides personalized information in the student’s account serving various functions and presenting various modules effectively. Based on high edge technology, LPU e-Connect is a useful tool for getting updates from the university. Through it, one feels connected with the university all the time.